The Summer Abroad Program: Khmer Language and Culture, is an intensive eight-week training in Khmer language-culture held in Siem Reap and Phnom Penh, Cambodia. 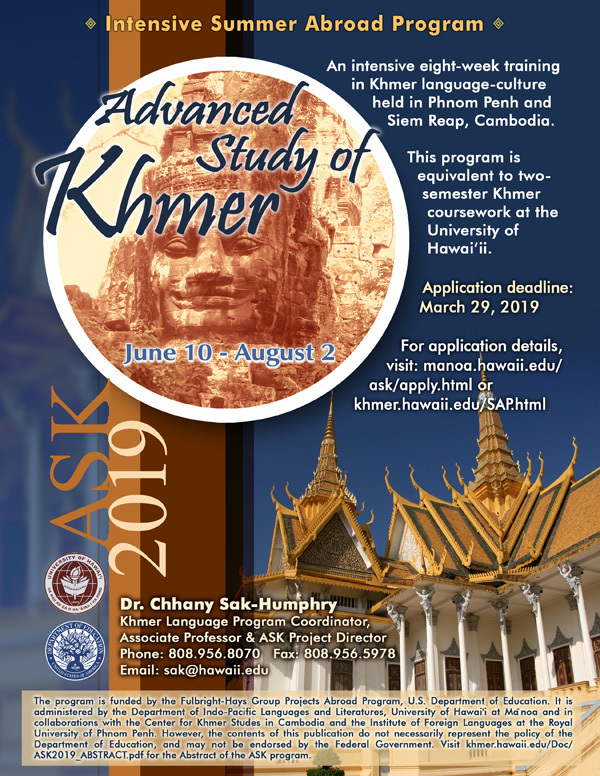 The program is administered by the Khmer Language Program at the University of Hawai‘i at Mānoa (UHM), and in collaborations with the Center for Khmer Studies (CKS) in Cambodia and the Institute of Foreign Languages (IFL) at the Royal University of Phnom Penh (RUPP), Cambodia. This program with homestays in Siem Reap, Cambodia provides students with a "one-of-a-kind" opportunity to acquire the linguistic foundation necessary to engage in academic research, professional discourse, and cultural immersion with all segments of Khmer society. This program will increase the number of linguistically competent Khmer speaking professionals across the United States and internationally. Also, the program will promote scholarly cooperation and cultural and socio-economic understanding between Cambodia and the USA. The program is funded by the Fulbright-Hays Group Projects Abroad (GPA) Program, U.S. Department of Education. 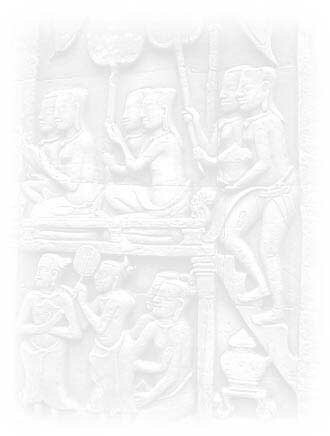 It is administered by the Department of Indo-Pacific Languages and Literatures (IPLL), University of Hawai΄i at Mānoa (UHM) and in collaborations with the Center for Khmer Studes (CKS) in Cambodia and the Institute of Foreign Languages (IFL) at the Royal University of Phnom Penh (RUPP). For beginner and intermediate course level applications, please contact Dr. Chhany Sak-Humphry (sak@hawaii.edu).